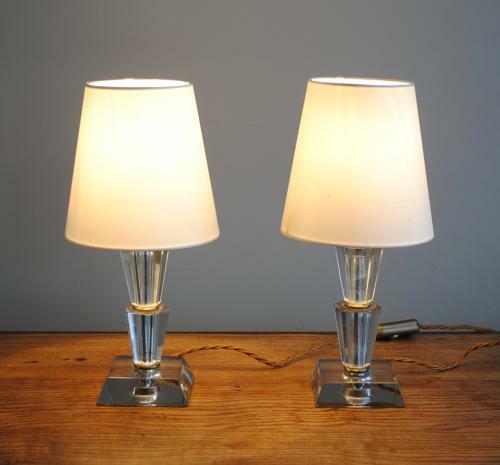 Very attractive pair of Art Deco bedside lamps. Lamp measures 22 cm high without the lampshade. The base is 9 cm wide.